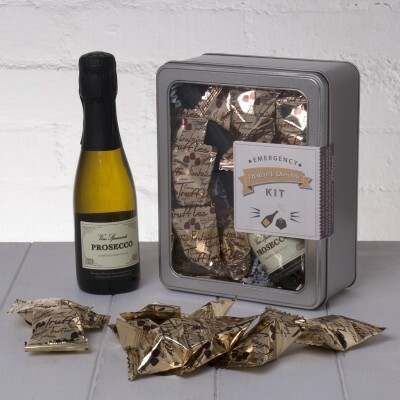 Her favourite tipple in a fun and stylish kit! 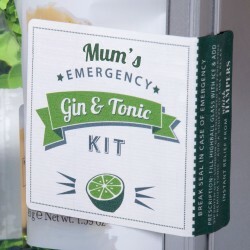 If you have (or know) a Mum who loves her Gin & Tonic, then imagine her delight when she opens up her very own Emergency Gin & Tonic Kit. 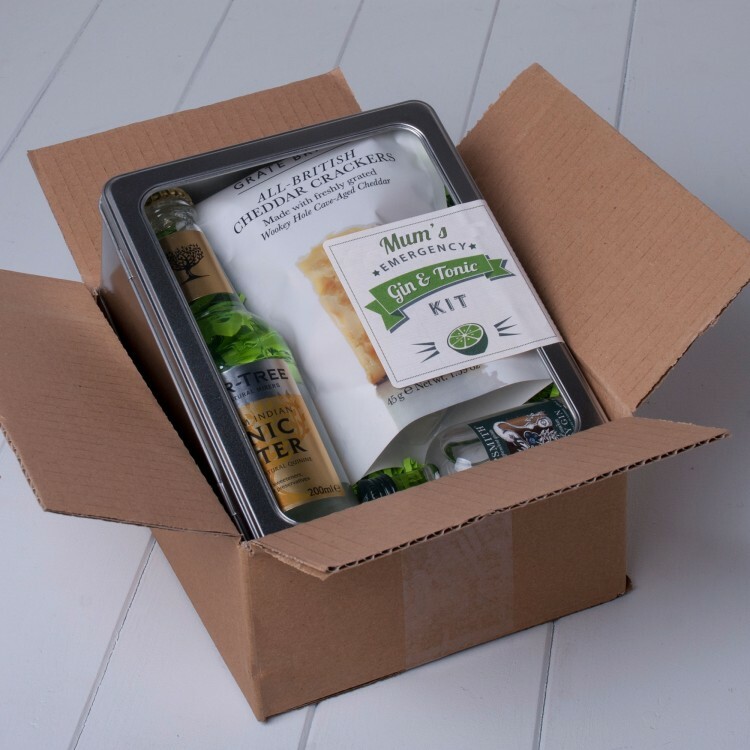 Our instant Gin & Tonic Kit makes a unique Mother's Day Gift, Birthday Present or Christmas treat or just a great way to show how much you appreciate your fantastic Mum and everything she does for you. 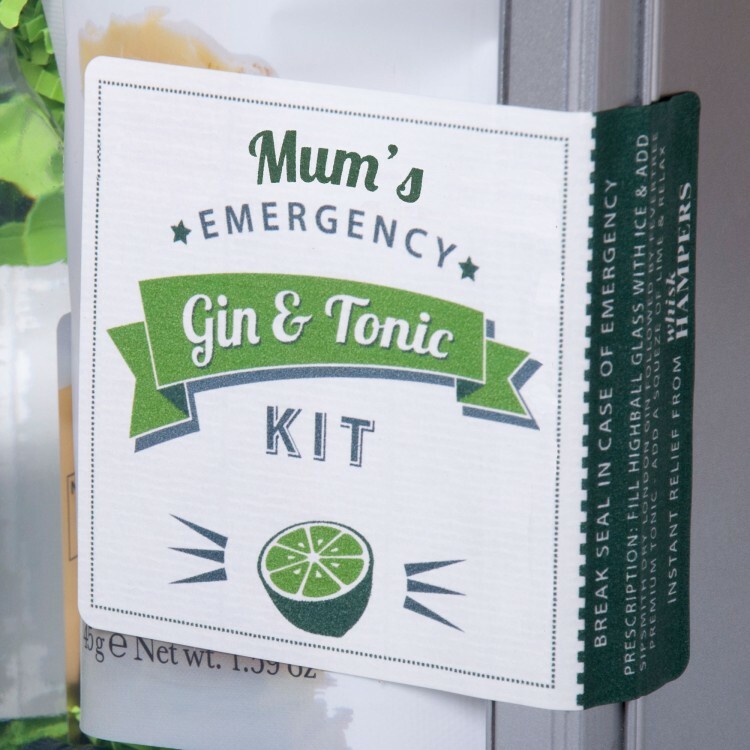 When it's time to take a break from being a busy mum and a long, cool, refreshing G&T is the only thing that will hit the spot, her favourite tipple is just minutes away once the seal on the Emergency Kit is broken. Whether your Mum succumbs to temptation or not, you just know she'll keep that tin and think of you fondly every time it catches her eye. 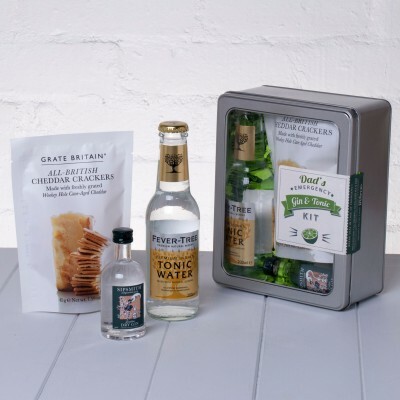 A perfect G&T (for a perfect Mum) relies upon the very best ingredients so we've hand-selected artisan Sipsmith London Dry Gin and premium Fever Tree Tonic Water. If your Mum enjoys her G&T on-the-go, we've also added a fantastic Citrus Saw Bottle opener - just add ice and a slice! 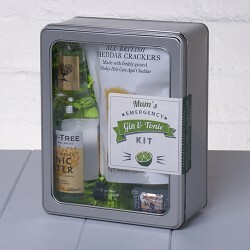 Presented in a sleek metal tin (with a clear window to show off the contents), lined with colourful green shred and finished with a 'Break Seal in Case of Emergency' label (complete with instructions for mixing the perfect G&T). You can even add a personal message and specify delivery direct to your delighted Mum.